Applied in filming the tiles on the surface. Please contact me by "vincent.tseng[at]hotmail[dot]com". 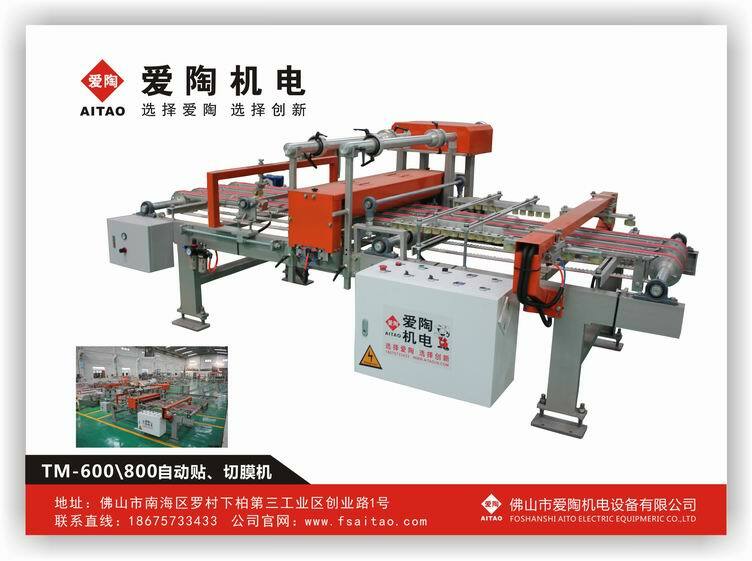 This machine is applicable in automatically filming the 600mm x 600mm or 800mm x 800mm ceramic tiles instead of manual filming. 1). Excellent filming performance without any bubble or wrinkle.